We've received another leaflet and present it here, the third so far. 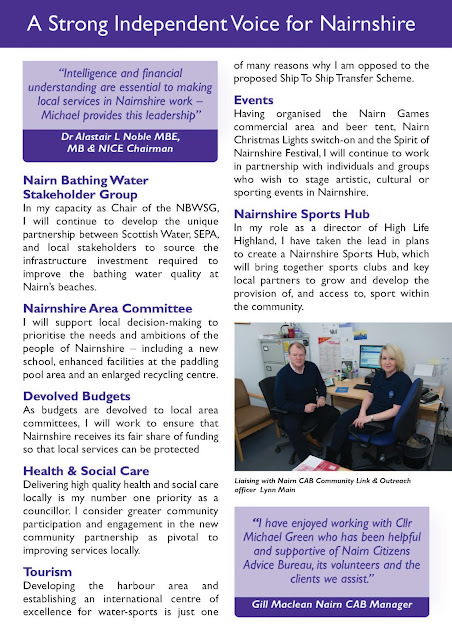 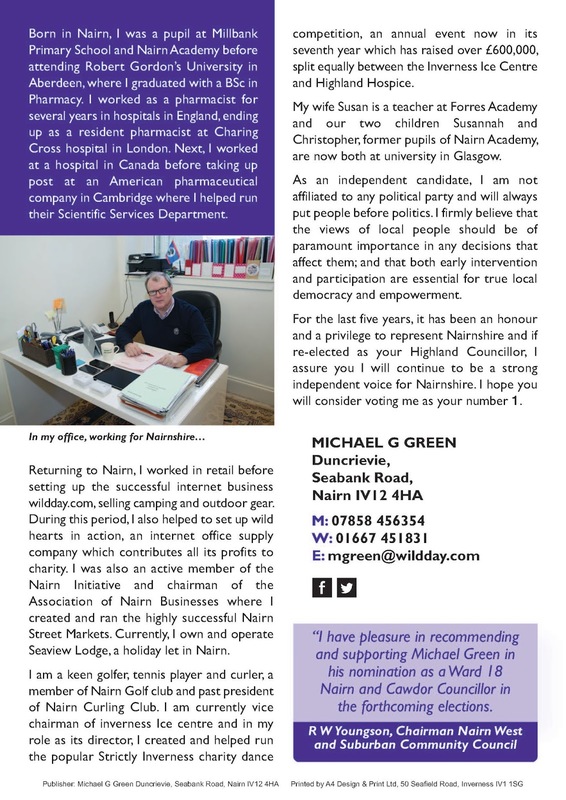 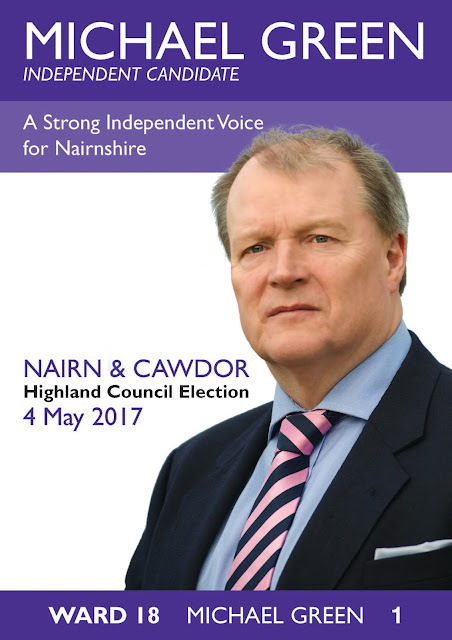 If you are a candidate in the Highland Council election that will take place on Thursday May 4th please send us a copy of your election leaflet and we will be delighted to publish. The images below should all enlarge if you click on them. 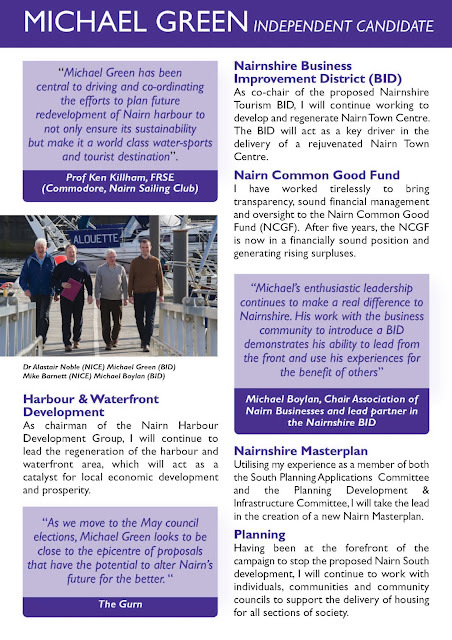 We've also put the leaflets up on the Gurn Flickr pages here.